Nancy Weber - Sasser and Weber, P.A. Nancy Weber and her husband, Lee Sasser, have been practicing family law together since 1985, focusing on mediation, collaborative law, and a peaceful resolution for divorcing families. In 2010 and 2015, Nancy was named Best Lawyers’ Orlando Family Lawyer of the Year. She has been included in Florida Trend‘s Legal Elite every year since 2005, listed in Super Lawyers every year since 2007, and Best Lawyers in America and Best Lawyers in Orlando every year since 2008. In addition to these accolades, Nancy’s professional career has been marked by a life of service. 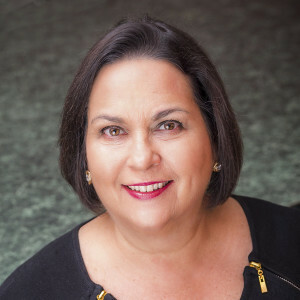 She served as president of the Central Florida Association for Women Lawyers (CFAWL) and president of the Central Florida Family Law American Inn of Court. She remains an active member of the Executive Committee of the Central Florida Family Law Inn and chairs its Mentorship Program for new family law attorneys. Her proudest ​service accomplishment is her role as co-founder of the Central Florida Women’s Resource Center (WRC) in 1982. Nancy, Becky Cherney and a small group of dedicated women designed WRC as an umbrella organization, so that not-for-profit groups and social service agencies could tackle women’s needs collaboratively. WRC advanced women’s business initiatives by pushing for women to be included in Orlando’s Minority-Owned Business Ordinance. WRC responded to the local need for a coordinated program for victims of assault by founding the Victim Service Center of Central Florida and funding it in its early stages. In 2014, Nancy received WRC’s highest honor, its annual Summit Award, for outstanding achievement personally and professionally, as well as through mentoring and service to the Central Florida community. Nancy is happiest when spending time with her family, which includes her husband of 28 years, Lee Sasser and their three children: Brian Sasser and spouse Rachel, Andrea Masterson and spouse Colby, Emily Sasser (who completed a public health fellowship in Nepal and now works with a healthcare coalition in New York), four perfect grandchildren, and of course her wonderful parents, Florrie and Hank Weber, who also gave her the world’s best siblings, Patti Weber Weiner and Michael Weber. Her parents and siblings live in West Hartford, Connecticut, where Nancy was born and raised.